Today’s digital networked technologies allow people to be productive almost anywhere at anytime, whether they are working individually or in teams, and yet most organizations still adhere to regimented start and end times to the workday. While there might be good reasons for this in terms of job or sector specific activities requiring manual work, face-to-face collaboration and/or schedule-dependent activities, it is not required for the vast spectrum of non-manual and non-concurrent tasks engaged in by knowledge workers. But I am not suggesting that knowledge workers should never engage in face-to-face time with their colleagues and clients – there is definitely value in bringing human beings together, as many Silicon Valley companies that swung the pendulum too far towards remote working have started to appreciate. For me, a knowledge worker, life today is not regimented along the lines of an 8 to 10 hour x 5-day office-based workweek, and nor is it about working exclusively as a solo but digitally connected freelancer. Instead it revolves around a blend of both home-based and workplace-based productivity – what I call ‘at home days’ and ‘away days’. And this logical blending of these two modes of working is what the current debate around Yahoo! 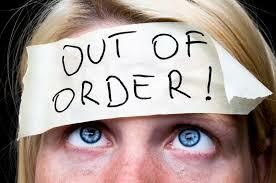 CEO Marissa Mayer’s banning of working from home largely fails to acknowledge. In my next few blogposts I will explain what the blending of these two modes of working looks like, and in doing so elaborate further on the lifeworking concept. In this post I will describe ‘at home days’ – Yahoo! please take note. My at home days always start with breakfast with my wife and children before waving my wife off to work and taking the kids to School. I then do a training session on my bike for an hour or two, while at the same time listening to podcasts about leadership, philosophy, art history or any other idea I am exploring (don’t worry – I only use one earphone bud, and always wear a helmet). I then return home for shower and lunch before afternoon working – email, conference calls, working on a paper, managing my social media, speaking with my accountant or whatever other priorities are on my desk. I also frequently invite colleagues and clients to my house for afternoon meetings, typically at the kitchen table, and I have invested in a good coffee machine. But I only do this if it is convenient for the other – I would never ask someone to disrupt their own day to go out of their way to come to me. Fortunately I live between Antwerp and Brussels, and a lot of people commute between the two cities. So if it is convenient, then I invite people to visit. Some people have asked me if it feels weird inviting people to my home for meetings, but why should it be weird? Okay, the living room sometimes looks a bit of a disaster when they arrive – three kids have an ability to do that. I actually find that meeting at home brings an informality and authenticity to interactions that rarely happen in a business setting. When we first moved to Belgium we rented a really crappy 1970s era house as we were unsure about our next move – it had salmon coloured carpet, and really tacky cork wall covering on the staircase. But so what – if people were to judge my professionalism by a rented house, then they were probably not the kind of people that I would like to be around. I also offer to visit my clients and colleagues residences if I know they sometimes work from a home office and it is convenient for both of us. I am still perplexed by how reluctant many people are when I suggest it. I mean, it is not like I am suggesting we meet naked in a sauna or something. My favourite client meetings of all happen on a bicycle – one of the CIOs with whom I work loves to cycle, and we try to ride together at least once a month. These days, those rides are much more about our friendship than any specific projects. Thanks Herman! In the late afternoon I collect the kids from school and get them started on hobbies, sports or homework. I do another couple of hours of work in the late afternoon, which might also involve some more drop-in visitors. I never ask the kids to tidy-up especially because clients are coming, and sometimes the kids need to interrupt my meetings or conference calls for an important question – like where to find the toilet paper. Or maybe Charlie just needs a quick hug, and sits on my knee for a minute. My at-home approach has never gotten in the way of having meaningful interactions with my colleagues and clients. Indeed, the overwhelming response of people to experiencing my family has been positive, and I think they like meeting my kids whether in person or in a virtual sense. I believe that the most important thing is ultimately what you deliver – if I am credible and deliver exceptional work, then people are not too concerned about sharing a Skype call, video shoot or at-home business meeting with Ries, Hannah and Charlie. In the early evening I prepare dinner, depending on whether Anne-Mie has been to her office or not as she also likes to cook. We then eat and relax as a family until the kids’ teeth brushing, pyjamas and bedtime at around 8pm. For these hours, screen time (computer, phone, tablet) for me and everyone else is forbidden. Once or twice a week, after dinner, I take my eldest son Ries to his nearby BMX club, and while he trains I cycle on the velodrome that surrounds the BMX track. I never listen to podcasts on the track of course – being on the piste with 50 or 60 other cyclists is just a wonderful immersive experience of the senses which I find almost therapeutic. Later in the evening I might sit with Anne-Mie at our kitchen table or on the sofa, both of us with laptops open, but also talking about the day. Evenings might also involve conference calls or interactions with people working in different time zones. One of the funny things is that I can honestly say is all of my professional colleagues and clients are people I like, so often the afternoon meetings and evening phone calls and interactions do not really feel like working in a strict sense of the word. It is also about connecting and catching up and sharing ideas. I think that my experience demonstrates that if organizations were only focused upon productivity outputs rather than inputs we might fundamentally question the assumption that week day family and leisure time be constrained to early mornings and evenings. My ‘at home days’ mesh leisure, work and family – there is no compartmentalization, and many of the activities overlap. This is the very meaning of lifeworking, and something that Yahoo! CEO Marissa Mayer fails to understand. In my next blogpost I will go deeper into lifeworking by explaining ‘away days’ and elaborate upon why organizations struggle to adopt these kind of future work practices. Who ever dreamed of becoming an Accountant? In my first post, which is based upon an article I am writing with my friend Ayelet Baron, I introduced the idea of lifeworking – an alternative philosophy for thinking about career and purposeful living. I would like to go deeper into this idea by discussing why it is that we often find ourselves on a life path which is not what we want, and why we sometimes make career choices that actually make us desperately unhappy. Many of us were benignly guided away from our passions in pursuits such as sport, music and art at a relatively young age with the advice that such interests were unlikely to lead us into a ‘good’ job. I experienced just this advice having achieved success as an elite junior cyclist in Australia in my mid teens, before being guided towards the ‘rational’ career path of a university degree. I grew up on a housing estate in a working class neighbourhood in a small town in country Victoria, a southern state in Australia. I spent my first four years of high school at a vocational college, but was a lousy tradesman. So I moved to an academic High School for my final two years of studies and did very well. I had dreamed of being a professional road cyclist since I was nine years old, but despite having enough talent to make it to the national level I had increasing doubts about my dreams. It was not that any one person told me that I should abandon my ambitions, and my parents were incredibly supportive. But the influence of my environment – School career advisors, teachers and friends slowly but surely created doubts and fears. The message was that a cycling career was a dream, and that I should be more realistic especially since I was clever academically. Of my six brothers and sisters, I was the only one to finish High School, and when I was growing up I knew of only a handful of kids from my neighbourhood who had gone on to tertiary education. In the end, the choice to pursue an academic path was my own but it was not my most desired path. I am not sure if you can understand what I am saying – I felt that it was almost inevitable that I should stop cycling, even though it was a heartbreaking choice. Why was this kind of subtle pressure applied to me even by those who cared about me the most – because of course, there was an underlying belief that if I might achieve ‘traditional’ career progression and a good income, then this would provide the platform for contentment and happiness. But for me, and for many career professionals, these last two outcomes remained stubbornly elusive. Why was that? Since the turn of the century the higher education systems in much of the Western world have worked towards standardization of learning according to the functional division of labour. By the age of fifteen or sixteen, and even earlier in some countries, individuals are put on an educational track that leads them into increasingly specialized learning paths. The bachelors, masters and doctoral degrees originally awarded by European universities have been adopted in the most diverse societies throughout the world, and while generalist degrees do exist, degrees in fields such as accountancy and finance, commerce, engineering, information systems, law and medicine have become increasingly prominent. As a student progresses further and further up the educational hierarchy, the more functionally specialized their learning tends to become. This linear educational path often then sets an individual onto a more or less linear career path – law students become lawyers, engineering students become engineers and accounting students become accountants. And once in an organization, career paths often unfold in an equally linear way – first as an individual contributor within a functional department, then team leader and on to middle and sometimes senior management in the same function. Of course, this is not to say that a humanities major cannot become a Chief Financial Officer, and some organizations, such as Shell and GE, actively encourage cross-functional experience as part of an overall talent development framework. But in most large organizations this kind of zig-zag career path is the exception rather than the rule. And if you were to ask many functionally specialized career professionals if they are really passionate about the career track that they have followed, how many would answer you in the affirmative? Most would answer with a kind of resigned acceptance that this is the track that they were put on when they were in their early teens, and there is not much chance of changing now. Something else starts to happen on this linear educational and professional track – as we progress we are ranked and compared to others, typically according to a narrow range of performance criteria. First are academic grades, and then organizational performance indicators such as productivity or sales results. Indeed, achievement of these metrics often provides the basis for the next stage of progression. As we progress, we start to accrue artefacts of recognition – degree certificates and job titles, for example. So it is not surprising that many career professionals start to define their success – and sometimes their identity – through the accrual of these artefacts by their late twenties and early thirties. For some people these artefacts become important indicators of social status and position, and become a kind of career snobbery whereby one evaluates the value of another according to the academic and career achievements that they have attained. I remember the cocktail parties at some of the prestigious academic institutions at which I’ve worked – social interactions with new acquaintances were often short lived if the others realized that I was not within their own bandwidth of high-level career achievement. The first question we often get asked in any social or professional setting is ‘what do you do?’ People then judge whether they should spend time talking to you based on your wrapper: how big your title is and how prestigious your organization is. And in the back of their mind is their own self motivation of how being connected to you will help advance their needs and network. How successful you are perceived is critical so many work toward the goal of being seen as successful In these situations, and it sometimes seems that your worth is determined by little more than a title on a business card. One of my favourite speakers and writers Alain de Botton has written a book titled ‘Status Anxiety’ on this phenomenon of career snobbery, and it is highly recommended reading. So is it any surprise that ten to fifteen years into our careers many of us have really started to lose perspective about the wider meaning of success? This was certainly something that started to happen to me by my mid 30s. I felt that I was disconnecting from my deeper passions and dreams, and measuring myself according to criteria set by others. Even as I was being singled-out as a ‘high-achiever’ and being shepherded towards a fast-track career, I felt that motivation was increasingly outside in rather than inside out. And it was at this time that I really started to sense that there was an imbalance in my work & life. There was a disconnect. In my next blog I will extend upon this idea of a disconnect by going further into the idea of ‘being the best’ especially in an organizational setting. While my professional mentors were more than ready to set out the exciting path ahead, I experienced that this was defined in the narrow context of my relationship with the organization. Wider life goals such as fulfilling private relationships and parenting, the pursuit of personal passions such as art or music, sport, health and wellbeing were not even part of the career discussion when I was in my 20s and 30s. And this led to a situation, by my late 30s, in which many people around me thought that I had achieved a high level of ‘success’ but which for me felt like something quite different. If you were in a business setting and heard that a really successful person was about to enter the room, who would come to mind? Most likely you would think of a person who has attained a senior level position, maybe a CEO or Board member. 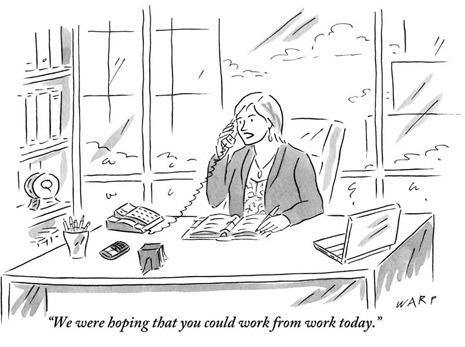 This thinking is not unusual, especially for anyone who has spent his or her career in a corporate environment. But in many ways, this thinking focuses on a very narrow definition of human achievement and is at the root of what we consider to be a crisis in 21st century careers. Why a crisis? Because my friend and co-researcher Ayelet Baron and I believe that many people in business reach a level of high professional achievement only to realize that the commitments and tradeoffs that this requires are excessive. In the words of Alain de Botton, “it is one thing for people to not achieve their dreams – but it is another for them to reach their professional goals and then to realize that the wider outcome is not what they want at all.” Ayelet and I share the belief that this realization has become an epidemic amongst many senior managers and leaders around the world. Gen Y has witnessed the generation before them commit a very large part of their lives to career and company, and many of these young people have started to question the trade-offs that are required to make it to the top. Many have also witnessed their parents and grandparents made redundant, sometimes after decades of service to an employer. In such an environment, it is not surprising that many within Gen Y have started to question a world in which organizational loyalty is expected but not always returned. But we think that this debate misses something – it is not just Gen Y that is grappling with a more holistic appreciation of success. Another trend that is emerging at work that is significant but does not get as much attention as the Millennial generation is the shift that is taking place in employees in their 40s, 50s and 60s. Indeed, the aspiration to be recognized as a multi-faceted and purposeful human being is powerfully present across even the upper echelons of senior management. But in so many cases these high- achievers hide their wider dreams and aspiration, and suffer in high-paid silence. There was a total of US$ 54 billion dollars in unpaid vacation pay reported in the US alone in 2013, reflecting upon the true scope of the problem in many countries. In this forthcoming series of blogposts I will talk about people who are often termed ‘high-potentials’ and ‘high-achievers’ in organizations, either as outstanding individual contributors or in leadership roles. I will discuss the success trap – the manner in which so many career professionals find themselves on a path towards promotion, responsibility and accountability that slowly but surely absorbs energy from other meaningful life activities. Some people define themselves by and through their work, and therefore have no sense of the conflicts that we are talking about. Their work is their life, and I wish such people every happiness in the way that they define success. I will focus in my discussion on the people who come to define happiness in a wider sense. 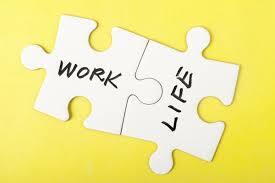 I will aim to address the myth of work-life balance by arguing that the very definition of this term is part of the problem, and offer an alternative philosophy to purposeful living – what my co-researcher Ayelet Baron and I call lifeworking. This is an approach that does not try to separate life and work into two distinct and seemingly incompatible spheres, but instead meshes both into a new way of thinking about a life journey in the 21st century. I will also make what many might think is a controversial claim – that the concept of lifeworking is fundamentally incompatible with the role expectations of high achievers in most large organizations. So enjoy the posts, and I look forward to your feedback.